Unless your doctor has advised otherwise, you may eat and drink normally before the test. Bring your ID and insurance cards to the center, along with a copy of your doctor’s order. Be prepared to answer the technologist’s questions about the purpose of your exam. Dress in comfortable clothes that you can remove easily at the center. If asked, refrain from using lotions, deodorant, makeup, and powder. Consider leaving expensive jewelry and underwire bras at home. Before the exam, you will need to change into a gown. You will need to take off glasses, hearing aids, wigs, watches, and dentures. Let your doctor know if tests make you anxious; you may be given some medication to help you remain calm. Meditation and breathing exercises can help. Some patients require sedation. You can request earplugs to block out machine noise. 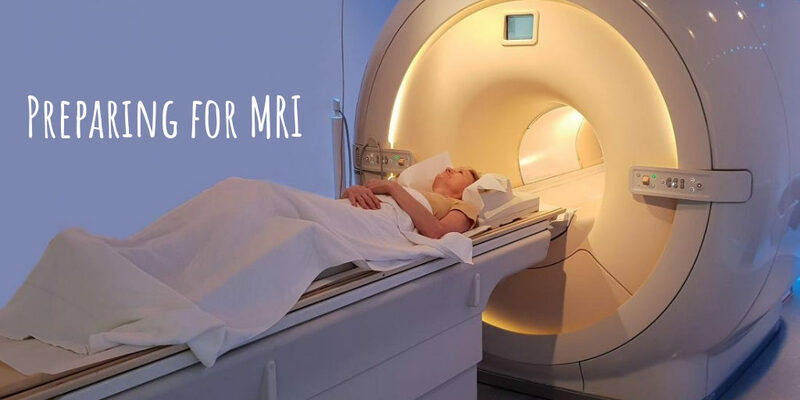 The MRI exam provides your doctor with important information to help diagnose and treat your condition. By preparing for your exam and following instructions, you will ensure that test day goes smoothly and the best possible images obtained.